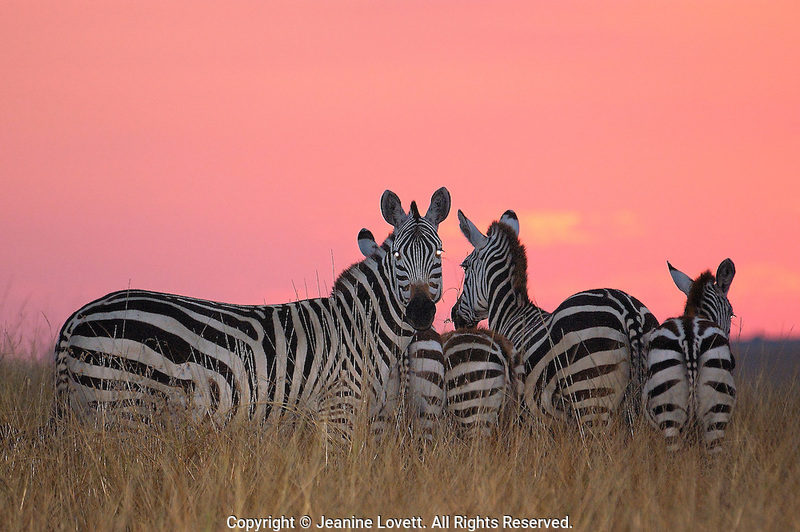 Zebras just after sunset with a ruby red sky. Zebras just after sunset with a ruby red sky. They stand so close together they are touching.